It might come as a surprise, but the Earth’s crust — the thin, 10 to 40 km-deep layer we stand on, which separates our cities, oceans and landmass from the Earth’s mantle and core — isn’t our planet’s “first” crust. Billions of years ago, shortly after our planet’s formation, a more ancient crust covered the Earth, forming the “ancestors” of today’s continents. But a mystery has remained. The oldest portions of our continents, called cratons, are thought to have mostly formed around 2.7 billion years ago. Since the Earth is more than 4.5 billion years old, this has left a huge gap to fill between its birth and its first known continents. 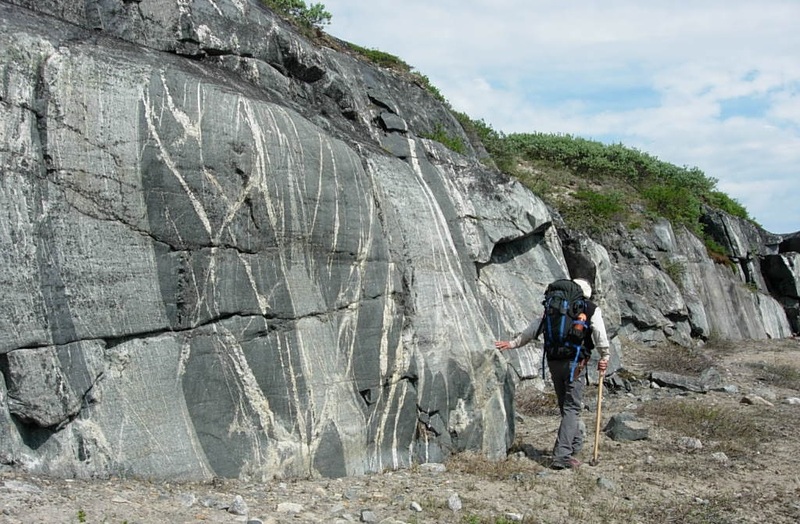 Now, a team of researchers from the University of Ottawa and the Carnegie Institution for Science that looked at ancient crustal rocks at an Archean-eon craton located in the area of the Nuvvuagittuq greenstone belt in northern Quebec has found evidence of an even older, primordial crust. Its study in Science is out today. The team studied isotopes from an element, Neodymium (Nd), in rocks collected from the 2.7 billion year-old craton, called Superior Province, in what is believed to be the core of the eastern Canadian Shield. One of the isotopes of Nd, Nd-142, was only produced during the first 500 million years of the Earth’s history, over 4 billion years ago. The researchers found that rocks from the craton had a different amount of Nd-142 than “normal” terrestrial rocks, an indicator of the remarkable age of their precursor crust. The team’s findings provide crucial information to understand how the first continents were built, and help fill in more than 1.5 billion years of missing geological records. “We believe the Nuvvuagittuq greenstone belt represents a sliver of oceanic crust as old as 4.3 billion years old. Thus, it would have the right age and composition to actually represent a remnant of this primordial crust. Re-melting or recycling of this primitive crustal ancestor produced the younger rocks of the Archean craton, which grew and stabilized to form the core of this part of the North American continent,” says O’Neil. The study also suggests that the primordial oceanic-like crust identified by the team survived for nearly 1.5 billion years before being recycled, furthering our understanding of the geodynamics of the early Earth.